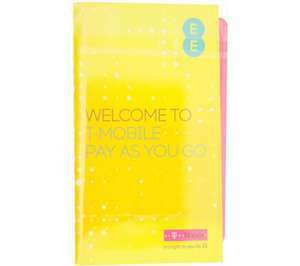 Can get £7.50 cashback for "activated sim"order on EE. Op are you really that naïve? any more deal for EE or Tmobile? text BRILL TO 150 for free £5 credit for 7 days Shared Via The HUKD App For Android. off topic slightly, but how do I activate an EE Tmobile sim? I'm an existing customer, got a replacement sim which doesnt activate when put in to a (unlocked) phone. I have called them twice, left on hold for over 5 minutes whilst they "look in to it" then the call cuts off!!! Then they dont even ring me back! When does this offer expire ?? How did this turn into a thread about Three?! you will get the letter my friend, unlimited tethering on three is ending for everyone EVERYONE, give em a bell and have a tissue on standby, they won't budge! Price now bumped up to £174.99....Oh well. You'll be able to use a virgin sim if it is unlocked (assume it will be as mine was and CPW phones normally are. 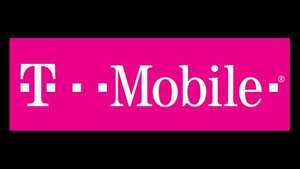 T mobile and its not branded. Which network did you select? And is the firmware branded to it? Price has gone up to £114.99. Still tempted to take it at that, but I've a question (sorry for the newbie question, but I'm not up to speed on how this works. ); I've got a Virgin Media package and I've been on a Virgin contract for the last 4 years, with my current one (£10 p/month tariff including the cost of the phone, a Galaxy Ace 2) is ending in about 2 weeks. I want to take up the £8 p/month sim only contract after that and get my own new phone (I suspect they won't automatically put me on the lower cost tariff it even though the old phone is paid off by then). Anyhow, can I use my Virgin pay monthly Sim in this phone assuming it does come unlocked? Virgin offer the same phone on the same £8 tariff, but want £17 p/month to cover the cost of the phone over 2 years, so I'd end up paying £216 for it overall. I understand this model uses a micro-sim so I would need to order a new card from Virgin for that (current one is mini) but if that's the only obstacle I would prefer to go with this option and flog the old one off on ebay (it's in mint condition with some extras so I could hopefully get about £50 for it). Keep an eye on the Voda store online and on the high street, they do a decent phone or two every month at a bargain price. LG G2 was £150 recently (cheap to unlock) , whatever bargain they do it'll be on HUKD within minutes lol. agree. rather than spend £1000...spend £125 on a motog 4g and spend the rest on something in a totally different direction. Save £8. Click n reserve. Hard wearing pile carpet. Tough moulded heel pad. Non slip backing, ideal for large vehicles. •2 front mats and 3 rear mats. Can confirm that no registration required with this sim. If you want the talk &amp; text plan (you also get 10mb of data with that and an initial 50mb 'get you started' data per sim), stick it in and start texting, calling or surfing. That will renew every week until the £5 runs out. If you want a different pack, turn off data before inserting sim. Then text 'Stop Pack' to 150. This will retain the full £5 credit for use in the varied ways being discussed. Doing this also means that you can spend all the £5 straight away rather than in renewals-per-week of £1. I just did this to use my £5 all for data. registration not needed put the sim in the phone dial 150 it says your balance £5 spend how you want. I see a lot of negative feedback regarding the registration of the sim. Is the registration a must? Can you not use it without registering? 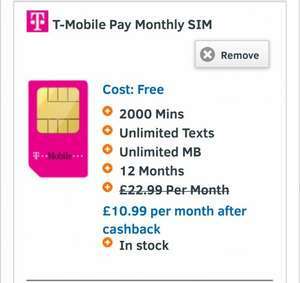 T-Mobile £ 34.99 per month No upfront cost 500 mins Unlimited texts Unlimited data 24 month contract That's in Greenock. Galaxy s5 100 mins, unltd txt and 1gb of data, free phone £23.99 T-mobile from mobiles.co.uk £27 back through Quidco. Free Delivery. Cheapest I can find monthly, with no phone cost. I thought i would see the reaction on here before i ordered! Dangerous! Three offering me 600 mins,1gb data, unltd txts £80 upfront and £28 per month at the end of my contract.... Shocking! why get a 4g phone on a 3g plan? Thanks, seems there's not much HDUK love for the Lumia 735 tho with all the cold votes. I can't see this cheaper anywhere, good find. I have found three to be the most reliable and also great speeds. But no doubt check in your location before buying. Text 6MONTHWEB to 441 for 6 months internet access This Booster comes with a fair use policy of 1GB a month. Honestly I don't know. I only buy the 6 month internet pack. I'd be surprised it you have any issues with that though. Sure does. Sometimes VOIP works but I don't count on it anymore. Try again later, I have had this several times just trying to add the £10 and £15 packs, it randomly won't work at times. I think it's a bit of a scam actually, as it's easy to forget it hasn't worked, and until you do get it registered it eats into your credit! Well i gave them one last ditch call at the weekend. I have been with EE/Orange 12+ years and they said they dont want me to leave. However they cannot offer me the 5GB "Deal" as retentions said it doesnt exist lol. Never get any call backs from them, so looks like i will be leaving them for O2. Works out cheaper for me so not fussed. Would have been nice to stay though. Same here, the best offer I could get was £10 a month 250 minutes with 1 gig of data. Might give them a call back and see before i change over next week. They still claimed that the deal doesnt exist lol. Deal is still active. Got this through retentions today. Unlimited minutes and texts, 5gb of 4G data with free calls to 08 numbers for £9.99pm for 12 months. EU roaming is not included though. Also, to my surprise, I received the best customer service I've had for a long time. Aware of the take over. Reception on both here are much better than EE. Probably wont even be done during the 12 month SIM only. Great as emergency phone if was unlocked. Damn got excited, thinking this deal was back on! I had to return my Nexus 6 after a few days of use as I couldn't get used to the size of it.. I'm probably going to get the Moto X 2014 version now instead.. I am sure this has been asked a million times before, but is there anyway to get around the must have had a sim card for x months to get the upgrade price? Annoying that they're out of stock in most places really, isn't it?! Yes we required another one for a client and noticed that yesterday, called Carphone Warehouse on main number and they said that due to high demand they don't have them any more, then called number of local stores and was able to allocate a exclusive blue version another store had couple of other colours however sadly the offer was no longer available for it therefore paid higher price though still worth it as now there is another offer which you can get a Fitbit Flex worth 79.99 for free. Think HUKD deal etiquette is to quote the full cost of any contract. So £7.99 + 24*£29.99 is approx. £728. (if it's a 24m ctt) In answer to your question re 3g or 4g, neither t-mobile or EE offer unlimited data on 4G packages. This sounds like a tailored upgrade deal? So only visible to those due an upgrade (and maybe only with specific history) perhaps overall doesn't sound too bad if you need unlimited data, but low calls. (personally I call around 500 mins a month but only use 300mb data, ) Having said that, I can't see any tmobile unlimited data plan with only 250minutes though. They all seem to have 2000minutes and sim only for £22.99 with either £50refund or £100 redemption. So, if you want to stay with tmobile and happy with redemption, you could be paying £14 a month with an extra 1750minutes thrown in. That would cost you £384 less, but no ipad air which is currently selling around £280. So depends whether you'd prefer the huge extra mins, buy a pad and save £100, or get the pad included but pay over odds. Edit- apologies, posted whilst deal in moderation, see some points have been addressed. But point is same, bad deal overall. I'm a little unsure why it's not allowing me to edit the main get deal link tad annoying, but it can be found on the money supermarket link above. I believe this narrows it down a bit. It's T-mobile, so definitely not 4G.